How many of us have their utility and bill payment on auto payment with our bank? 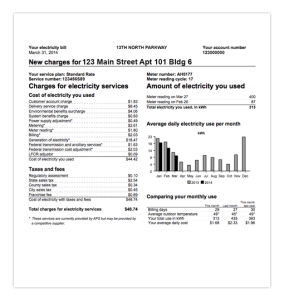 Do you check your bills for accuracy? More and more people are doing this and there is a good argument for having all of our bills paid automatically so that we do not miss a payment and risk a hit on our credit rating. After all if you miss a payment then there is also an automatic report to the credit rating agencies and your credit rating is lowered! There is nothing wrong with taking this approach and it means you no longer have to worry about missing a payment and also having a penalty fee assigned to your account as well. But we believe that consumers should still review their monthly invoices to ensure they are accurate and they are not paying more than they should for everything. This is a potentially huge issue however, especially if your invoice is incorrect, since there are many invoices that could have small changes or additions that cause more expense to be added. 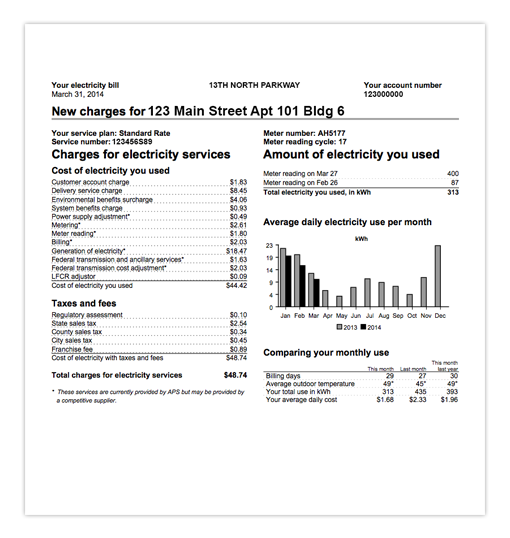 If you do not look at your invoice and your bill is automatically paid, you may be paying too much. Some will say that this is not a problem, we have generally 30 days to review the accuracy of the invoices and get back to the company who issued the invoice. This is usually correct, however if you miss that 30 day window, then you have lost your chance to dispute the additional charges. The message is in this post is check all of your bills that you pay every month. This includes credit cards bills, utility bills, phone bills and bank account statements. All of these are potential areas for consumers to lose sometimes hundreds of dollars without even being aware of it. Look for anything that might be considered abnormal on your invoice. An extra charge, an extra service fee, fee’s that were negotiated to be removed and credits that you might be expecting. I recently opened a bank account with Wells Fargo and was promised that as long as I made regular deposits to my savings account I would not be charged a monthly service fee. They also told me that I had two months to begin making regular deposits. Low and behold, I get my first statement and there is a $10 bank service fee. $10 is a large amount for a bank service fee! Turns out that the grace period for the service charge had been changed from two months to one month. After some discussion I was able to get this fee reversed, but it took my time and a long distance phone call to have this reversed. Another example was for our local telephone company, Bell Canada. I had noticed that my long distance plan had gradually increased over time from $5.00 per month to $11.95. This plan gives me a package of free long distance each month. When I queried this charge and why it had increased, I was told that I was given an extra 1000 minutes for the additional monthly charge! I don’t even make 500 long distance minutes of calling a month let alone 1500! We changed this back to 500 long distance minutes and $5.00 a month , a savings of $6.95 a month. Do you check your credit card bill every month to make sure that your charges and credits are accurate. Sometimes there is a duplicate charge or an additional fee. This has happened to us several time over the years and has saves us quite a bit of money after having these fees reversed! It only takes one or two minutes per invoice or even less to verify the accuracy of your invoices. If they are accurate, there is no problem, you have not lost much time and you have peace of mind that you are not paying more than you should. On the other hand you might say why would I waste my time for $10 or $15 dollars, I can make more than that in the time it takes to call and straighten it all out. For some this may be true, however consider that if you pay an extra $15 every month, you have to earn approximately $25 before taxes to pay for this. That’s $300 a year, or a days pay for many people. It is worth following up on some of these expenses! Send us comments on corrections or extra charges you have found on your bills and how you saved money. This is what this web site is all about , saving money for the average person!